Buy a Force1 drone and get a free Scoot. Force1 RC has some pretty solid drones. It is a reputable US-based company that is known for good products and excellent customer service. 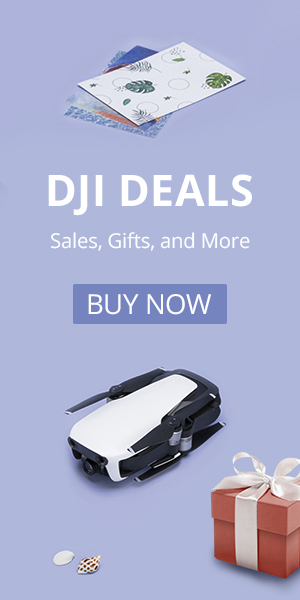 They have a variety of good beginner drones from the very simple Scoot to the larger F100GP. They are giving away 10,000 Scoot drones. Not familiar with the Scoot? It is a super fun and simple drone. 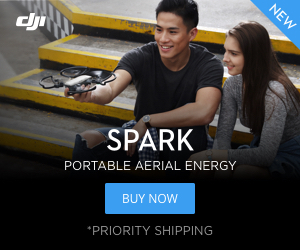 Right now it is the BEST SELLING drone on Amazon. All week Force1 RC is giving away a free Scoot drone($39 value) to anyone that orders a U45WF, F100GP or U49WF. These are all good for beginners and would make a great gift this holiday season. When you order any one of these drones you’ll see the Scoot and the discount in your Amazon cart. The Force1 F100GP is a drone based on the MJX Bugs 3 platform with some extras and an upgraded camera. It is one of our favorite drones. The F100GP features powerful and efficient brushless motors and has a flight time of up to 15 minutes and a range of 500 meters. The F100GP is a versatile drone that you can fly fast or slow down for aerial photography. It comes with a GoPro style action camera so you can shoot HD video from your drone or from the ground. Click here to order the F100GP with the free Scoot. The Force1 U45WF is an ultra-durable, compact beginner drone. While it does not feature altitude hold it is a stable drone and is a lot of fun to fly. The U45WF features a WiFi camera as well as multiple speeds for beginners. You can even do flips and rolls with the push of a button. Click here to order the U45WF with the free Scoot. The Force1 U49WF is another excellent choice for the beginner pilot. The U49W features built-in propeller guards that help keep the propellers away from obstacles as well as make it a safer drone. The U49WF uses altitude hold to help keep it stable. It is a larger drone than the U45WF and features an HD camera and a 15 minute flight time. Click here to order the U49WF with the free Scoot. These drones are all excellent buys on their own but the Scoot is an extra bonus. It is a simple remote-free drone that uses obstacle sensors and hand gestures to fly. The Scoot is a blast and the kids love it. Pick up a Scoot here. Check out the Scoot and a few other drones from Force1 in the video below.